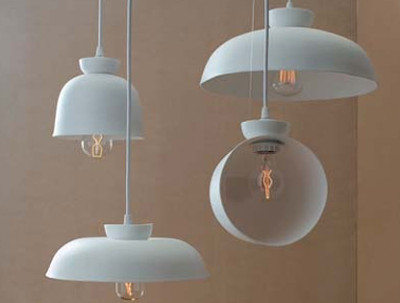 These very cool Porcelain Bell Hanging lamps definitely will make a statement in a small space. The industrial design + white coloring allows this lighting design to feel impactful yet sophisticated. 0 Responses to "SMALL SPACE ACCENTS: Pendant Bell Lights"